Club Med Finollhu Villas welcomes couples on this exclusive 5-hectar island in 52 stylish Villas surrounded by the tropical beauty of the Maldives. Modern indulgence is in perfect harmony with the luxurious majesty of this tropical island. The service provided includes butler and concierge service, to make sure that all your wishes come true. Club Med Finolhu Villas is definitely a fantastic place to enjoy scuba diving in Maldives and the Euro-Divers team is looking forward to welcome you. From August 2017, children from 10 years old can now participate in diving activities. 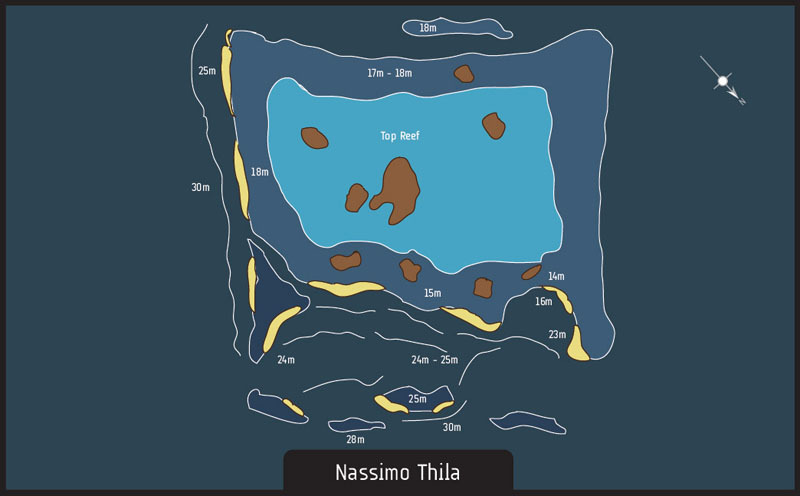 As Club Med Finholu Villas is conveniently located close to some of the best dive sites in North Male Atoll. 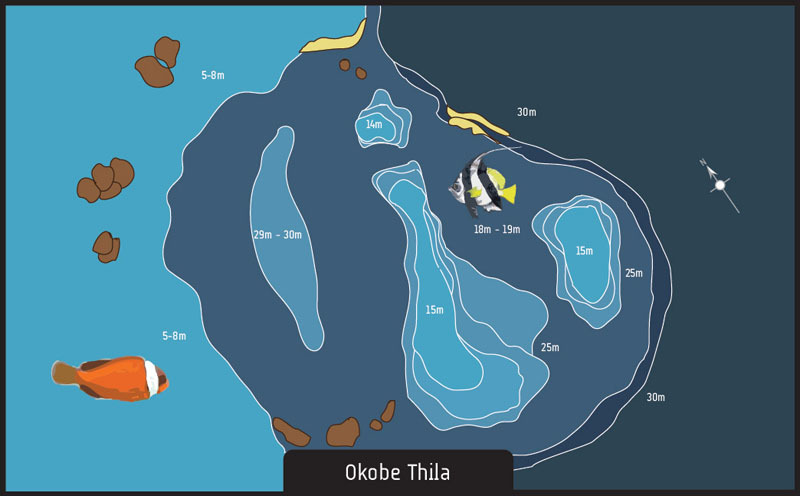 Scuba divers will enjoy a wide variety of spectacular dive sites such as Okobe thila and H.P. 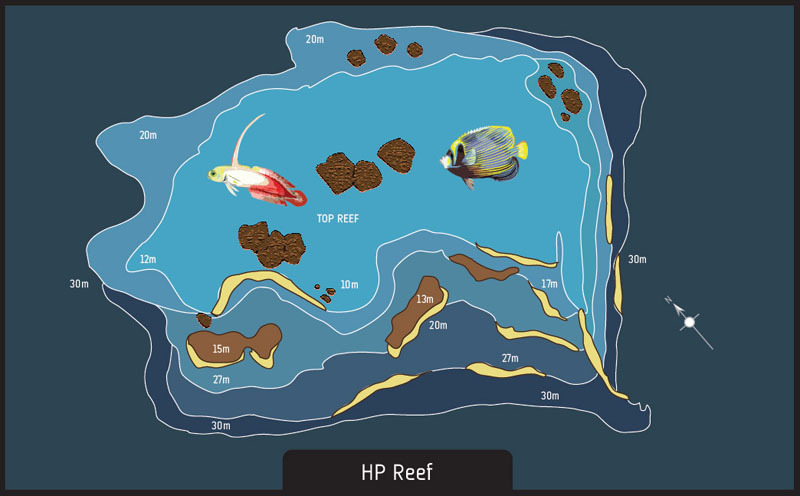 reef. 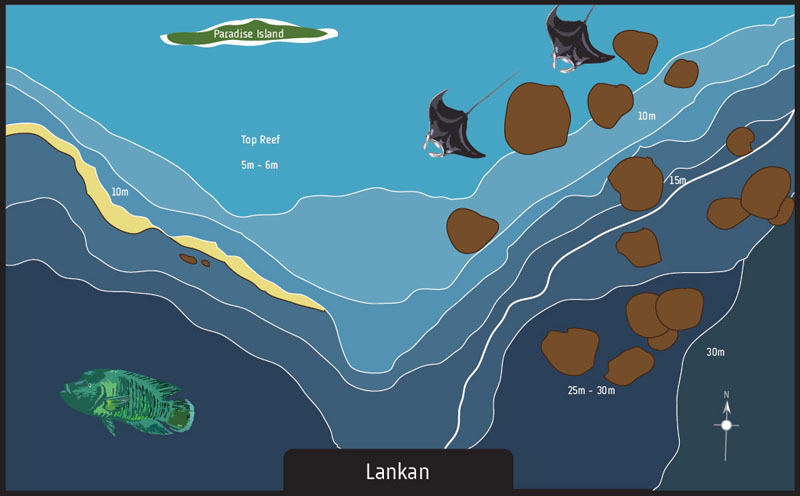 Blanketed by colorful soft coral and with many overhangs, these reefs are renown dive sites in North Male Atoll. 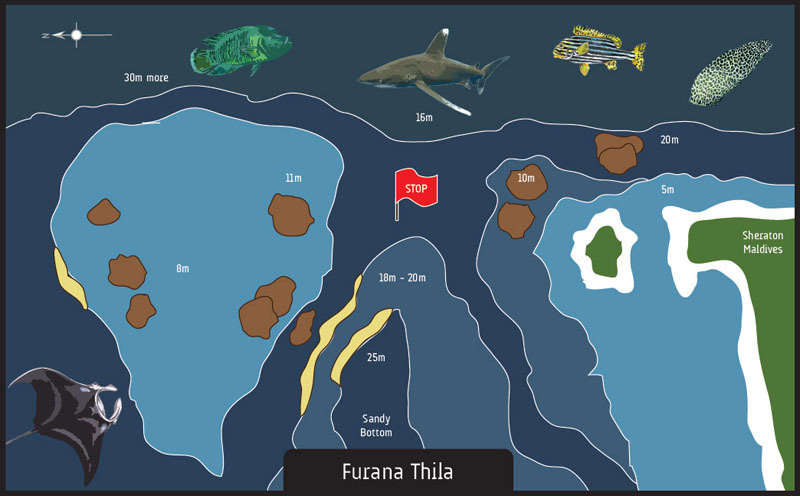 There are more than 35 dives sites accessible by boat from Club Med Finholu Villas. 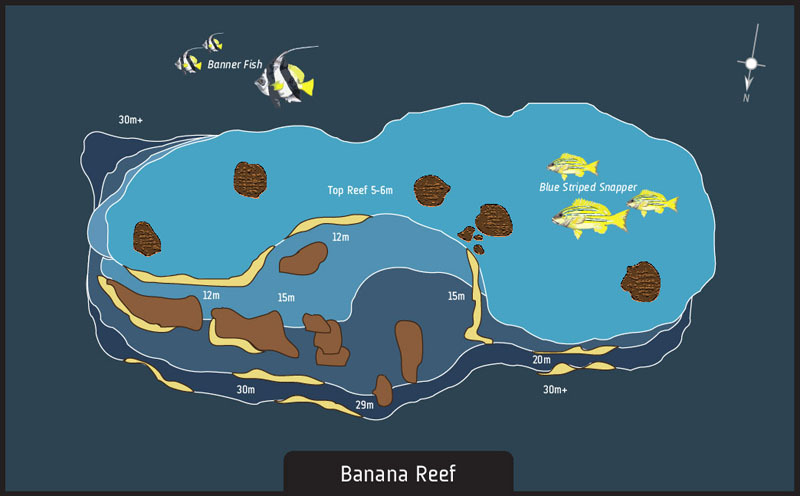 With travel times ranging between 5 minutes and 1 hour by comfortable and well equipped diving boats. Turtles and sharks are often encountered residents of the reefs and patrol the dive sites in the company of tuna, jack fish and eagle rays. Start now! A great way to save valuable holiday time in Maldives!